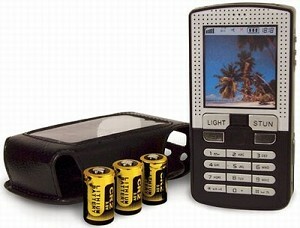 The ZAP Cell Phone Stun Gun looks like the Pretender Cell Phone Stun Gun, which is also available thru SmartStun. The ZAP unit is lower voltage, but is also less expensive. Its price also makes it one of the most affordable cell phone stun guns on the market.